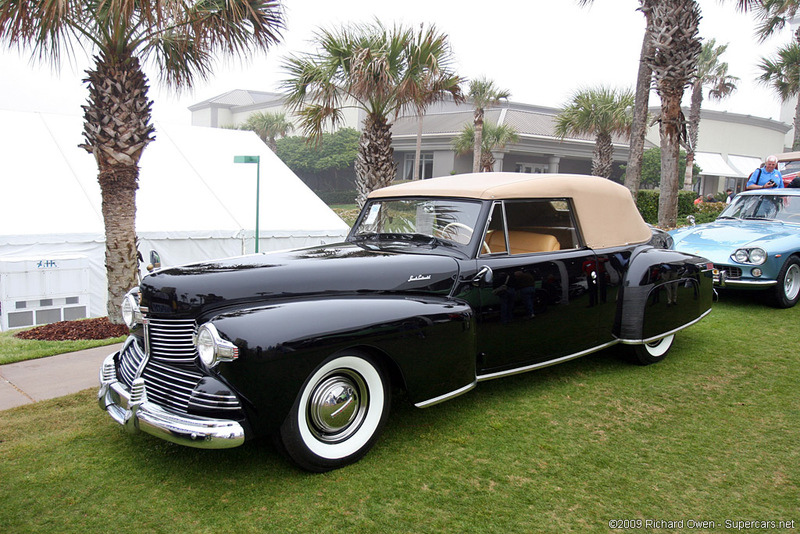 In 1942 Lincoln drastically modified the Continental to include a larger front end and dashed headlight surrounds. Although this model year was cut short due to the onset of WWII, these new features influenced the Continental of 1946. The V12 engine was slightly modified to use cast-iron cylinder heads and the design was enlarged to 306 in³ producing 130 bhp. In 1942 136 cabriolets and 200 club coupes were produced.